Everyone knows who he is, The Clown Prince of Crime, Batman’s #1 foe, the psycho with the smile, The Joker. However, as with any character that has had several on-screen incarnations, not everyone can agree on who does it best. I’m no expert myself, but I find myself frustrated at a lot of characters on screen who just aren’t done right (in my opinion) and Mr J is usually one of them. Let’s have a quick look at the highlights of his screen time, between tv, movies and games. 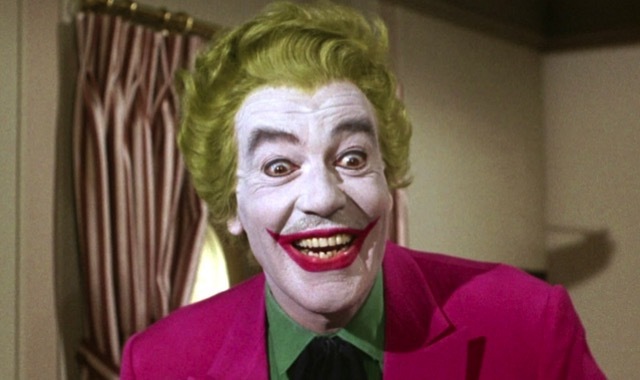 The villain from the 1960s Movie and TV series Batman, Cesar Romero played the part from 1966-1968. Romero was known for his energetic performance and his infamous Joker cackle, arguably the inspiration behind Heath Ledger’s in The Dark Knight. I don’t remember much about the film or TV series, except for two things; sometimes you just can’t get rid of a bomb, and that laugh. This lack of memory for Cesar’s portrayal means I can’t comment too much on the performance, however I reckon that it probably suited the era and theme of the series, but would never be considered the best or closest version of the Joker to the comics. Ahh good old Jack Nicholson. 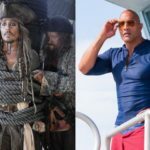 The original Hollywood Hellraiser, there’s not much he hasn’t accomplished in his career spanning longer than most of today’s stars have been alive. His anarchic style was brought to the big screen once again, this time with the purple suit, scarred smile and big laugh. Batman also brought a variance of the Joker’s Killing Joke origin story (the botched job, the fall into a VAT of chemicals) allowing viewers a chance to see how a man could become such a villian. As fun and iconic as Nicholson’s punt at it was, I feel it was pretty much Jack being Jack (so to speak) and was fairly safe for him to do. Again, I don’t feel he truly captured what makes The Joker The Joker. @ianscinematicmusings claims Jack is his favourite, mainly because he loves Nicholson more than the other actors. Can’t argue with that! I think we all know where this is going. Heath Ledger’s Joker was pretty awesome. He stole the show in The Dark Knight and provided such a warped character, it was easy to forget he was Sir Ulrich Von Lichtenstein or Ennis Del Mar or even a real person. Ledger’s Joker was an authentic comic book character come to life, unique and completely different to anything that had come before. And completely different to any Joker before either, on screen, game or comic. The character was mesmerising, and to watch it is to witness a masterpiece in the making. 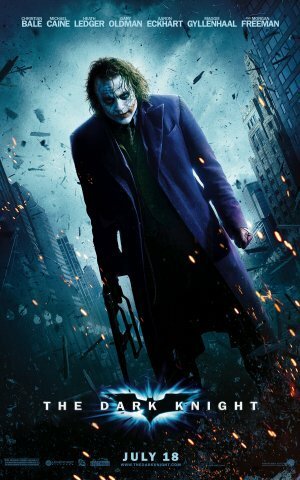 This Joker has a grand plan and Batman fumbles his way through it whilst trying to figure out what he’s up against. For me however, his Joker is too calm and calculating at times, and for me is easily identifiable as a completely separate entity from Batman’s Nemesis. So for me, amazing character, amazing way to make it completely your own, but the itch for seeing The Joker on screen has still not been itched. The latest big screen incarnation of The Joker seemed to have the potential to hit the nail on the head. Stories emerged during filming of Leto diving into the character off-set, of him creeping out his co-stars and developing his character at 30 Seconds to Mars gigs. 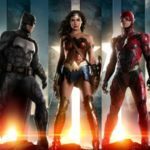 By the time Suicide Squad finally landed on the big screen, the hype for Mr J alone was massive, and he’s easily the most iconic in the film.Will Smith plays a one-eyed Will Smith, Margot Robbie has a pretty decent punt at Harley Quinn (albeit, a very sane version relatively) and Jai Courteney finally proved he wasn’t terrible in every movie he’s ever been in. Jared Leto however is something else, with the psychotic, choatic, downright scary Joker, and you genuinely don’t know what he’ll do next. The portrayal of the character from an acting point of view is simply brilliant. 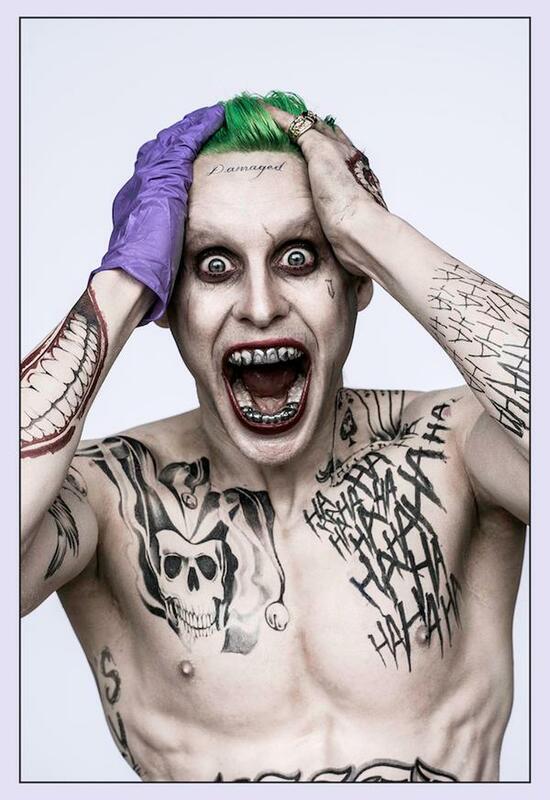 Leto clearly put a lot of thought and work into this character and it almost put him at the top of the list. Here comes the old “this guy’s hard to please” bit though. For me, I get why he looked the way he did, but I didn’t like it. Leto had brought the Joker into a modern age, of gang lords, bling and reckless luxuries, again making the character his own. Also, his limited time on the screen may go in his favour as it gives him less chance to do things that might feel out of character. Also, he was far too attached to Harley Quinn, coming across a bit emo over her incarceration and general being away from him. To be fair, I’d pine too, but I’m not The Joker! When most of my friends think of Mark Hamill, they think Luke Skywalker. Being a non-Star Wars fan (which in my circle of friends is as risky as a leper jerking off) when I think of Mr Hamill, I think of Mr J. A show-stealer in the Batman Animated TV series, animated movies and video games, Hamill’s Joker is sublime. 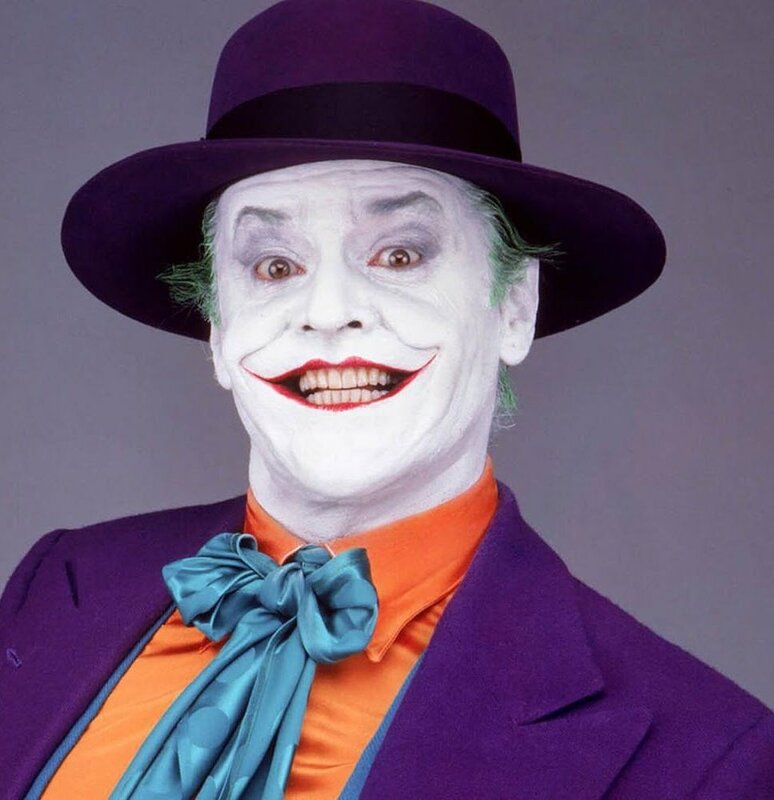 Hamill realised early on that the key to the Joker’s portrayal lay not in a single laugh, but in using the laugh to convey the mood. 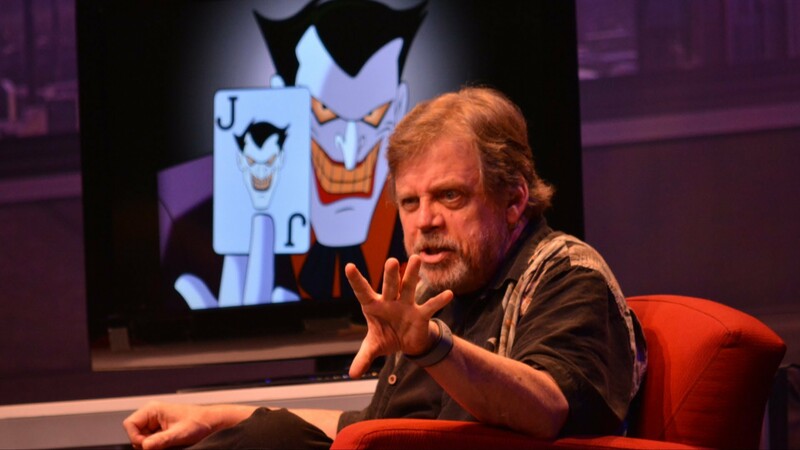 Hamill has developed a variety of styles to approach the different situations Joker faces, and the enjoyment he has doing it simply adds extra depth as it comes across that The Joker is enjoying everything he does. He physically embodies the Joker when recording, as discussed in this video. Now I know some people will argue “yeah, but he only has to concentrate on his voice, not his looks or actions or even chemistry with other actors. The in-depth counter-argument to that is “screw you.” My other argument would be check out “The Trickster” in either the 90s or current day series of the Flash, it’s the closest you’ll probably ever get to him playing The Joker and it’s awesome. Mark Hamill has been doing this for around 25 years now, and has had a lot of time to screw it up. The fact he hasn’t shows he’s doing something right. He gets the fact that Joker has no grand plans, and just wants to mess things up however the whim takes him. He enjoys tormenting Batman, and enjoys the game of announcing his plans and challenging people (usually Bats) to stop him. To me, his craziness, unpredictability and dynamic voice make him exactly how I imagine him to be in the comics. Ironically, the rumour mill suggests that Hamill’s inspiration for the character comes from Hannibal Lecter (minus the tongue thing, which he left for Ledger to grab) and comedian Jerry Lewis. All logic and reasoning aside, he’s basically the only person I get excited about when they announ7ce who will play The Joker. I think an honourable mention should go to Cameron Monaghan. I haven’t watched Gotham but the clips I’ve seen seem to show him combining styles mentioned above, laced with his own and going with the New 52 “reattached face” look, albeit slightly less disturbing than in the comics. What do you think? Am I right? Who would you pin as the best? Who did I miss? What am I missing? Comments are there for a reason guys.